Anacapa Island, CA Located 14 miles off the coast of Ventura, California, Anacapa Island comprises three islands strung closely together: East, Middle and West Anacapa. The easternmost island in the Channel Islands Archipelago, Anacapa is part of the Channel Islands National Park established in 1978.
housands of birds use Anacapa Island as a nesting area due to its natural lack of predators. But invasive, non-native black rats were inadvertently brought to Anacapa in the 1940’s aboard ships traveling to the islands. 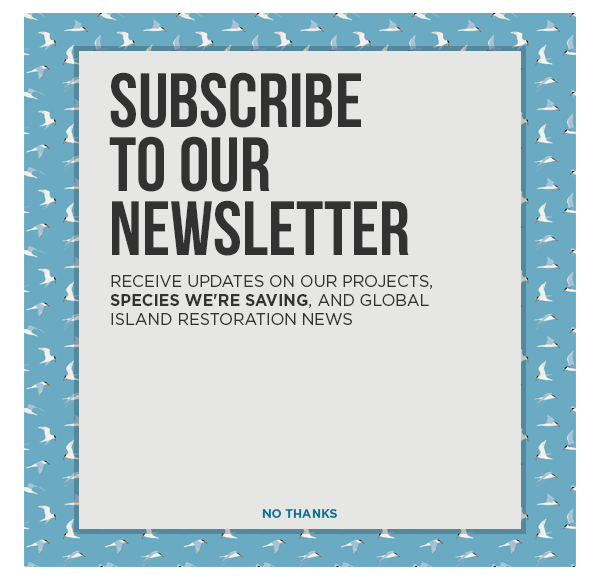 Island Conservation and other conservation groups began studying the impact of black rats on native seabird populations in the mid-1990s. Biologists discovered high rates of predation on murrelet eggs and found bird bands outside rat nests, evidence that rats were eating young birds. More than 96% of Scripps’s Murrelet nests on Anacapa were being predated by invasive rats. In 2001 and 2002, Island Conservation and our partners removed invasive rats from Anacapa Island, and subsequent monitoring confirmed the rats were gone. In the absence of these invasive predators, Scripps’s Murrelets rebounded almost immediately. We continue to see strong evidence of murrelet population growth through the expansion of breeding area, increased nest occupancy, and a higher number of eggs laid at one time. Today, hatching success among the murrelets is greater than 90%, compared to less than 20% when rats occupied the island. 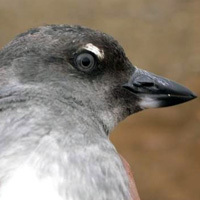 Cassin’s Auklets have also re-colonized the island. In 2011, Endangered Ashy Storm-petrels established nesting sites on the island for the first time ever. 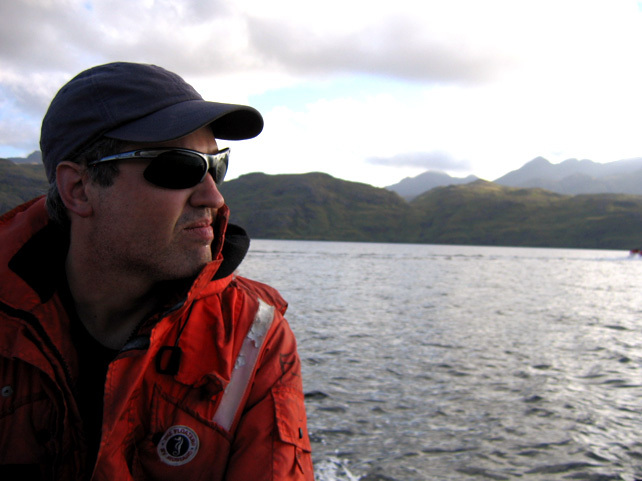 With the island free of invasive rats, we continue to see the island return back to what it once might have been. 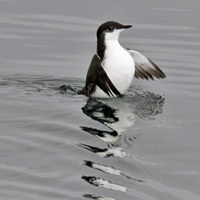 A small black-and-white seabird, the Scripps’s Murrelet breeds only on a handful of islands off the coast of southern California and Baja California, Mexico. With the loss of its safe breeding habitat on the rise and a global population of less than 10,000, this rare seabird is listed as Threatened by the state of California and as Vulnerable by the International Union for Conservation of Nature (IUCN). The murrelet was spared an “Endangered” listing due to Island Conservation’s efforts to remove invasive species on many of the islands where the seabirds breed, including Anacapa. A small seabird, the Cassin’s Auklet depends on burrows for nesting. Despite having a wide range from Baja California up to Alaska’s Aleutian Islands, Cassin’s Auklets were unable to breed on Anacapa Island in the face of rat predation. Since the removal of rats, Cassin’s Auklets have returned to Anacapa and started breeding on one of its islets. 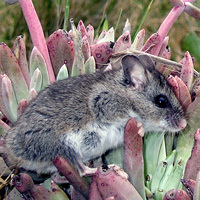 Each Channel Island is home to a unique subspecies of deer mouse—the islands’ only endemic mammal. Until 2002, invasive rats competed with the Anacapa Deer Mouse for food and directly preyed on them. During removal of invasive rats, Anacapa Deer Mice were held in captivitiy to ensure their safety and survival. Today the mouse population is thriving. To restore habitat for native animals and plants on Anacapa Island by removing invasive rats. Native species are breeding and flourishing once again. 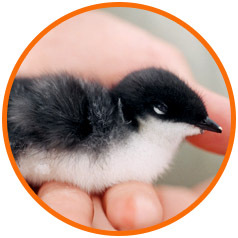 Invasive black rats on Anacapa Island decimated native seabird populations, particularly the threatened Scripps’s Murrelet (formerly Xantus’s Murrelet), by eating eggs and young chicks. 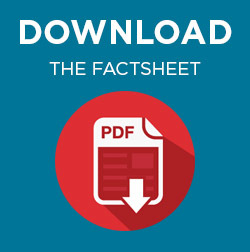 Rats also directly preyed on the endemic Anacapa Deer Mice, a species not found anywhere else. In 2001and 2002, Island Conservation, the Channel Islands National Park, California Department of Fish and Game, the U.S. Fish and Wildlife Service, and the National Oceanic and Atmospheric Administration removed invasive rats from Anacapa Island. Nesting success among Scripps’s Murrelets increased by 91% the year after rats were removed. Within seven years, nesting adults increased by more than 93%. Cassin’s Auklets, previously absent from Anacapa, are now breeding on the island, and the Anacapa Deer Mice are thriving. In 2013, for the first time ever, Endangered Ashy Storm-petrels were recorded breeding on the island.